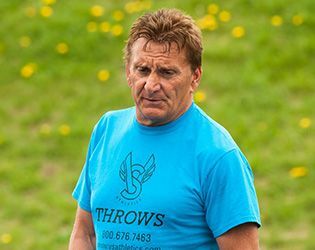 In April, renowned throwing coach Mark Mirabelli began working with discus, javelin and shot put athletes one day each week—a commitment that will continue throughout the spring. Over Mirabelli’s four-decade career, he has coached six All-America and three national champion throwers and led New Jersey high-school powerhouses, including Willingboro High and Hamilton West, to championship seasons. He is also an athlete in his own right, having competed in the Olympic trials in 1980. Among the hundreds of throwers to benefit from his instruction are sons Christopher and Nickolas. In the Penn Relays last week, Christopher (Rutgers University) took home gold for the javelin event with a toss of 251 feet, six inches to best the second-place finisher by a foot. Younger son Nickolas (Rancocas High School) took second place in the high school competition for javelin. 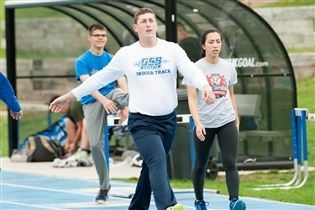 Mirabelli’s addition to the track and field program will allow for more individualized instruction and help the team to build on its successful record. "Mark’s commitment to excellence is evident and he is really excited to work with our kids on improving on an already strong tradition," said Athletic Director Tim Davis.